The power and the exhaust noise; Mechanical reliability (yes); Effortless torque; The way cars pull up next to me and crack their window to hear the exhaust; Minimal AMG badging; Active seat bolsters; Did I mention the power and exhaust noise? “You’ll have to grab this next exit, mate”, I say, with what I believe to be plenty of notice. “This one on the left?” says Aaron, still running his fingers over the Alcantara, perusing buttons, gripping the steering wheel and playing with the drive-mode selector. Only an hour prior to this moment, my good friend Aaron was piloting his relatively sedate and economical Mazda 6 wagon down the Hume Highway, ferrying his wife and daughter to our house for a quiet weekend in Canberra. Once unpacked and settled, he says, ”So, this wagon of yours… Can we take it out for a spin?”. I happily oblige. Fast-forward an hour and we’re on the Monaro Highway, caught on the right shoulder with our exit two lanes over rapidly approaching. As Aaron looks anxiously over his left shoulder at the conga line of cars meandering in the lane, he realises that it’s now or never. With a sudden squeeze of the right pedal, I’m pinned to my tightly bolstered passenger seat and the noise I hear next is nothing short of hilarious. No, it’s not the bellowing anger of a twin-turbo V8 hand-built by AMG that produces 500+ brake horsepower, but the schoolgirl squeal of a 35-year-old man who’s forgotten what it‘s like to be sitting behind the wheel of a car that defies all sense of normalcy – my 2012 S212 E63 wagon. I’ve written a previous review about this car just over a year ago now, so I would suggest that if you’re unfamiliar, please read it first. I’m writing this as an extended ownership review to attempt to address many of the questions (and assumptions) people have regarding ‘Wanda’, my E63. Wanda has now been in our family for two years and almost 40,000km, with an average fuel consumption reading of 13.1L/100km. We’ve taken her all over, from Canberra to Sydney, Goulburn, Crookwell, Taralga, Oberon, Bathurst (Mt Panorama), Cowra, Boorowa, Young, Lake Macquarie, Newcastle, Melbourne, Mornington, Sorrento, Cooma, Bega, Batemans Bay, Araluen, Braidwood, Nowra, Kiama, Wollongong, Tarago, Nerriga (to name a few places) and back again. While it hasn’t necessarily been a cheap experience, overall, it has been a far better ownership experience than I had anticipated in terms of reliability. Though, financially is a different story. I understand that money and cost is a relative and subjective factor to everyone’s decisions in making a purchase. 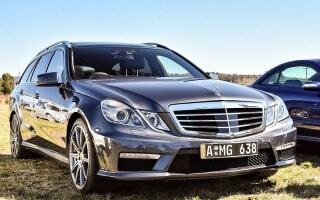 I’m trying to convey what I believe the ownership and running costs of the E63 are to me. My wife and I have no kids, a single mortgage, no investment properties and one car in our household. There are some people that will read this review and believe me ‘rich’ or ‘wealthy’ because of what I drive, while others might even take the ‘he only has that because he can’t afford a new one’ attitude (and you’d be 100 per cent correct). I’m not trying to turn this into a debate about money, only an insight into the ownership of a high-performance European car outside of the warranty period. I know many readers of this review contemplate this decision often, as I did for many years, without a clear idea. I choose to share this with you because it is one of the most common questions I get from Joe Blow on the street, and sometimes it surprises, sometimes it doesn’t. So, if your comment is about my financial status, please keep it to yourself. Finally, the costs that I’ve detailed in this review do not take into account taxes, registration, insurance, fuel; pretty much anything that is just part of owning any car. We get stung hard for fuel down here in Canberra, so that would skew the numbers for some of you reading this. I’ve tried to make this about maintenance, servicing, reliability, parts and overall ownership satisfaction. Though, I’m happy to talk specifics regarding additional costs in the comments section if you really want to know. This is a long review. If this is not the type of review you like to read, there’s a TLDR at the bottom of the last paragraph. Enjoy! I purchased Wanda in December of 2016 after a period of negotiations with a dealer in Sydney, while I was living in Canberra. My wife and I did take a test drive of the car and both came away hiding our emotions, because we both really loved the car (more so me, I think). As soon as a dealer can pick up your emotional attachment, there’s blood in the water and they will use that to their advantage. So it was a poker face until we drove away. Having done my homework on the suggested value of that model E63, I took note of the defects and concerns I had with the car and made mention of them during the test drive. I also contacted friends afterwards who worked in panel beaters and wheel shops to get a rough estimate of the cost required to bring the car back to my standard; this to be used in my negotiations. Wanda was listed at a price of $119,000 when first appearing online. Our budget was to spend no more than $90,000, not taking into account stamp duty and any additional transfer fees. I immediately went in hard and offered the dealer $85,000 for the car, using my quotes of work required as a justification for reducing the cost and that I really didn’t see it worth more than that. Short of cursing and hanging up, the dealer essentially told me we were done, that “the car will sell in the next three days anyway, for much more than that” and ended the call. Shortly after, the E63 disappeared from the classifieds and we believed it had been sold (my wife later believing it a tactic to jar my aggressive haggling). 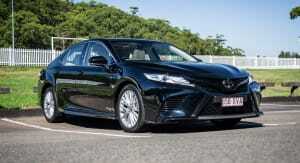 However, two days later, the car reappeared with a new price of $105,000. After a week of watching, I contacted the dealer again and he was (surprisingly) happy to hear from me! The negotiations were reopened. I remember him saying, “So, I’m sure you understand it’s quite a rare car and that your previous offer was not in line with what the car is worth”, to which I replied, “Yes, it is quite rare, but I still won’t pay more than $85,000.” Again, I was met with derision and attitude. It just so happened that this was all taking place around 10 days before Christmas, and other than me, I don’t think anyone else was interested at the time, as Christmas tends to be an expensive time of the year for everyone. This time, rather than hanging up, we started to chip away. “I can do it for $99,000,” he said. “How does $85,000 sound?” was my reply. “No, but I’m sure we could bring it down to $97,000 if you come and get it next week?” Again, “I’ll come and get it next week for $85,000?”. The dealer, with a transparently irritated laugh, came back with “I’ll give it to you now for $95,000.” I replied, “I’m sorry, mate. I’m not paying more than $85,000 – it’s just not worth more than that. This is still nowhere near my price and I think that’s about as far as we can go”. We were quite amicable and ended the call. Within 30 seconds of hanging up, I get an SMS: “I can do it for $91,000 if you come and get it next week. It’s a really great deal.”. I respond via SMS: ”$85,000 is my price. I won’t be going any higher”. Then, 10 minutes later, another SMS that made my eyes light up: “I will sell you the car for $87,000. This is my final offer.” I requested a pre-purchase inspection report, but due to the low price and immediate sale terms, the dealer was not entertaining this idea (yes, some of you are shaking your head reading this – but I’ll get to that shortly). Considering our budget of $90,000 and knowing I had some money put aside for an inspection once it arrived (and the knowledge of the consumer code), my wife and I agreed to the price and headed to Sydney two nights later to bring Wanda back down the hill. 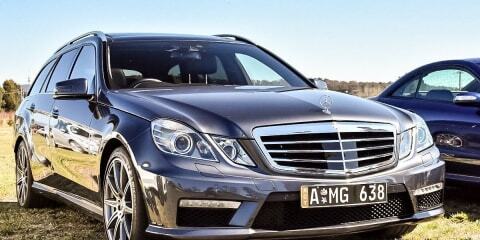 So that was the sale price: $87,000 for a 4/5-year-old MY12 S212 E63 AMG Estate, with 70,000km. This car retailed for approximately $255,000 in 2012, more than I could ever afford. Know that I saved this money for years… Literally years and years. If I have to borrow a substantial amount of money for a car, my upbringing says I can’t afford it. That’s just how I’m wired. We returned to Sydney a week or two later for Christmas and had noticed that at speeds exceeding 80km/h, we would hear a whistle in the cabin. I immediately thought sunroof and a possible seal. After a particularly humid night at mum and dad’s over the break, Dad called me out the next morning to what was a condensation build-up inside the rear driver side tail-light. Other than these two issues, the car was sound. Unfortunately, I didn’t notice them in the test drive, as exceeding 50km/h in Inner West Sydney was hard enough, and my visual inspection of tyres, rotors, pads, panel gaps, bodywork, underside leaks etc wasn’t able to pick up the tail-light. I had NRMA come out to my house and carry out an end of warranty inspection that identified these two issues (without my help). With this report, I contacted the dealer with a request for repair. Now, I’m not sure if you believe this unethical, but the dealer who sold me the car did. This began a protracted (and sometimes plain nasty) process of attempting to resolve these two faults under the legal obligation the dealer was subject to. It led to a case being opened with the ACCC, to rather vicious and threatening phone calls and to me almost giving up. 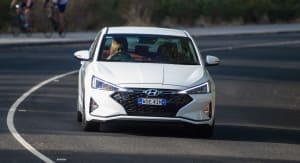 However, the ACCC did come through in the end, at least with the tail-light; the whistling noise in the sunroof was not covered and they believed it would be too difficult to prove it was pre-existing. So, the first cost associated with Wanda: a tail lamp at $692.96, with one hour of labour for remove/replace. A total cost of $846.96. Eventually, the dealer agreed to pay the cost under duress from the ACCC and that was the last I ever spoke to him (after he had me write a rather ridiculous email stating “I no longer hold you accountable for any works to vehicle of VIN XYZ”). Not necessarily a cost that I bore, but a cost nonetheless. Although I’d attempted to find that seal in the sunroof that caused the whistling noise at speed, all searches were in vain. My local workshop also had a look and couldn’t find anything to indicate a reason. After leaving the car out in a particularly heavy downpour one afternoon, I came back to the car after the rain to move it inside and found water dripping from the sunroof/dome light control panel, down into the cupholders in the centre console(!). Somehow, the electrical components were unaffected, but I drove it back to my workshop the next day. They took the entire sunroof assembly apart and found a pinhole leak behind the seal. For 30 minutes of labour and a little squeeze of silicone sealant, the issue was finally resolved. No more high-pitched whistling at speeds over 80km/h! Total cost: $77. If you consider the ‘expected’ maintenance/items versus the ‘unexpected’ maintenance/items, there’s really only the tail lamp, air inlet ducts (which I replaced at home), rear struts, blower motor (which I also replaced at home) and thermostat that stand out as additional extras in the ownership that I did not anticipate. The thermostat was my choice, not a required replacement. Also consider that many of these costs are to replace long-term parts, which I’m now enjoying until the next replacement interval in a few years. Either way, I won’t say it’s been cheap, but many of these things I had to do early on for peace of mind and that’s the (literal) price of a second-hand AMG. The rear struts were a particularly painful experience. In preparing the car for transfer of registration to the ACT, an inspection found a leaking rear driver side strut that needed to be replaced. Rather than just replace the one, I figured it would be a smarter option to replace both at the same time. My workshop quoted me up and the price came to AUD$2048… Without labour. These parts were sourced through the dealer network and were only available in Germany. As I’d done with every other part up until that point, I checked the pricing from various sites overseas. I managed to secure struts from the US at approximately USD$740 each. After delivery, conversion and duties, it worked out to about AUD$2200. I got back in touch with my workshop and decided to go with their pricing. That was when my guy responded “yeah, that’s AUD$2048 – each”. Yes, for struts! This same price gouging applied to the air ducts as well: AUD$60 each from overseas, or AUD$115 each here. Unfortunately, there are no aftermarket options in this space in AU and I ended up ordering from the US. This took a little bit of time, but I ended up saving quite a bit when it was all said and done. Everything else has mostly been consumable, and no matter the car, you’ll face this. When I first inspected Wanda, I checked the condition of the rotors and pads and estimated around 50,000km worth of brake left. Well, the rears lasted 20,000km and the fronts 30,000km, so (without admitting defeat) in a roundabout way I was right. If you’re going to purchase a high-performance car second-hand, this has to be on your list of expected costs and it was on mine. As I said at the end of my last review, just put some money in the bank. There’s a rainy-day car account that we top up and leave alone that we’ve had even before Wanda, and it has never left us wondering how we’ll get the car back together and on the road when these unexpected situations occur. I highly recommend you become friendly with an independent mechanic. My shop looks after me and doesn’t charge me for their time on things like inspections, fruitless fault finding, or running over hours on jobs that have proven difficult (struts went overnight). They are a little expensive, but do an excellent job and know my car almost as well as me. They know I will come back to them, and this mutual trust has settled the early jitters on ownership. With the costs now outlined, I will honestly say we’ve had a wonderful ownership experience. Wanda has not left us stranded, has never failed to start, has not experienced any ‘check engine lights’ or mechanical failures and (some people will hate to read this) has been very reliable. I have experienced one or two electrical glitches (happy to cover in the comments), but turning the car off and back on again has resolved them. The interior has held up really well from continual use, and other than some stone chips, the car is in as good condition as, if not better than, the day we bought her. From the standpoint of driving, Wanda has been an excellent car to own. This is, after all, why I bought this car. 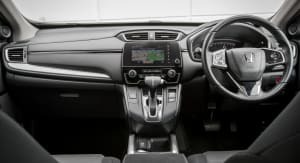 Interior screens, touch controls, lack of ‘Apple CarPlay’, the ‘design of the air vents’ – it’s all irrelevant to me and I honestly couldn’t give a rat’s about these things. I will admit that some of the technology is wonderfully intuitive, but it wasn’t my reason for buying the E63. It wasn’t about the ‘three-pointed star’: it was about ‘the three magical letters’. I love driving and wanted a reliable car that would pick up the groceries on Saturday, then eat up the blacktop and be engaging on Sunday. This dual-purpose objective has been met perfectly by the E63 Estate. Wanda has also been the perfect segue in connecting with members of the car community down here in Canberra. I’ve founded AMG Club ACT and met some wonderful people with truly amazing cars. From banging four-cylinder turbos, naturally aspirated V8s, the legendary supercharged ’55’ models, all the way up to the monstrous V12 twin-turbo ’65’ models. We have some great members that I would never have met without this car, and they’ve helped to elevate my ownership experience beyond that of ‘just another muscle car’. I’m very grateful and love sharing this passion of the brand with them. The base M157 5.5-litre biturbo V8 that appeared in Wanda was revised many times in its life, across various models in the Mercedes-Benz line-up. Wanda left the factory with 386kW (at the motor) and 700Nm of torque. While this is by no means insufficient, these different states of tune left me wanting more with my car. AMG was releasing the very same motor and driveline with up to 440kW and 900Nm states of tune, through a driveline that is capable of safely sustaining 1000Nm. With such a high performance ceiling available to me, I decided in late 2018 to have some work carried out on Wanda and the results are nothing short of absurd. I’d written previously that Wanda had this Jekyll-and-Hyde personality. I’ve changed my opinion. Wanda is now putting out 500kW (670hp) at the motor (423kW at the wheels) and 990Nm of torque. The personality is now that of Bruce Banner and The Hulk: don’t make her angry. While Wanda was rapid before, she is absolutely, violently explosive now. I have always been a fan of the traditional muscle cars that destroy the straight line and make you drive the car. Prior to the tune, you could plant your foot and let Wanda resort to controlling traction, limiting slip and safely firing you down the road with a cacophony of exhaust noise behind you. Now, you have to feed the throttle in and be very aware of what you’re asking the car to do. Push too hard and you will squirm away with the tail sliding left and right with a raucous and exhilarating exhaust sound that is too good for words. My passengers in the car before the tune were speechless when the pedal was put through the firewall. Now, the only thing you hear are curse words. I absolutely love it. While launching the car pre-tune/post-tune has never really been that easy, it’s the at-speed acceleration that is truly mind-bending in Wanda. If you bury the throttle at 60km/h (and find traction), it is akin to Rick Moranis in Spaceballs ordering “Ludicrous speed… GO!”. The traction-control light flickers like a Christmas tree in December and the horizon blurs. I continually refer to Wile E. Coyote straddling an oversized ACME rocket and lighting the wick: it really is that silly. I’ve used a (most probably inaccurate) GPS-based smartphone app to measure launch times. The factory times were supposed to be 0–100km/h in 4.3 seconds. With the new tune, over a series of launches, I’ve had it showing as low as 3.8 seconds to 100km/h, but it tends to always show 3.9 seconds or 4.0 seconds. This is a two-tonne car, remember! But, really, as cool as this all sounds, it’s just a quick way to say goodbye to your licence and I take these power, torque and launch numbers with a grain of salt. I know how dangerous this car can be and understand my responsibility as a fellow driver. 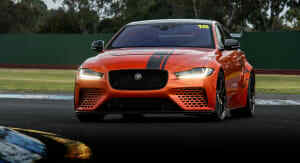 So, I have a trip to the skidpan in the calendar (my wife demanded a defensive driving course with the new power) and am planning a trip to the drags in Sydney this summer to really push the limits of this car. The most important aspect of the tune for me was that Wanda did not lose her daily sensibilities. That all of the daily duties, the grocery runs, the work commute, the dog hauling, the trips up and down the highway, would not be negatively impacted by a car with more power than some modern supercars. I’m glad to report that this is the case. Wanda’s fuel usage around town has increased, but not to the point where I’m wondering if it was worth it. When doddling in Comfort mode, the turbos take a little while longer to spool up now (around 2100rpm), but there is ample bottom-end torque available to pull the car along without the slightest suggestion of the motor labouring. As Comfort mode will always try to move up the gears below 2000rpm, Wanda is a supremely soft and sedate drive when you need her to be. Drive her hard and Wanda drinks like Bob Hawke at the Boxing Day test. You can watch the fuel gauge come down if you live above 3800rpm – it’s the epitome of superfluous. I don’t count this expense here, and it wasn’t cheap, but it’s something that I saved for and I’m very glad I did it. Wanda reflects my professional and personal life. I spend far too much time in a suit, being logical, sensible, risk averse and in control. Ostensibly, this is what the E63 is when seen by other cars while commuting home after a day at work: well presented, low profile, sedate. But, as I wind the window down at that set of lights, loosen my tie, switch the mode selector to Sport+ and turn Pantera up to 11, this car’s personality changes with mine. It may not be the perfect car, but it’s the perfect car for me. TLDR: the E63 has been very reliable, is ridiculously and enjoyably overpowered, and has cost $13,588.34 over 24 months outside of warranty. 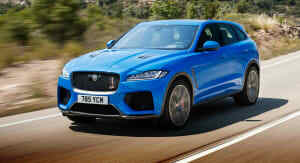 I would recommend you buy one if you want a car that can carry out daily duties, you love brawn over brains, and want a car that can destroy B-roads on the weekends. Use owner forums to keep abreast of known issues and behaviours. Use overseas mail forwarders and independent workshops to help lower your costs.